from the time he is in. 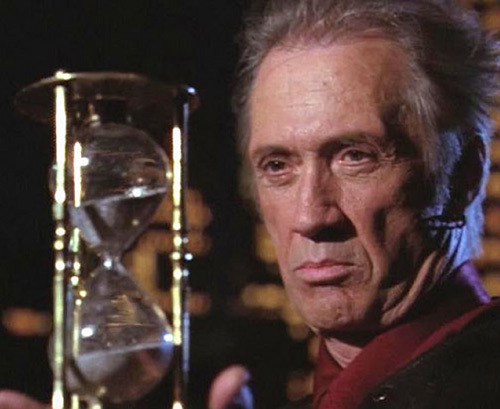 Tempus is a time-manipulating demon, played by David Carradine . 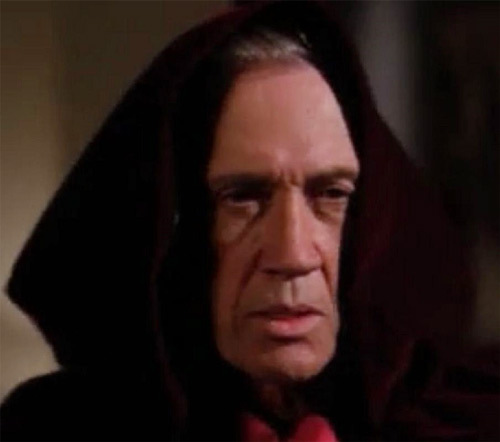 He appeared on the Charmed TV show during the late 1990s. For more about Charmed, see the entry for, say, Prue Halliwell. Base Of Operations: Hell (AKA the Underworld). Height: 6’1” Weight: 155 lbs. Notes: Height and Weight taken from the Kwai Chang Caine profile. Eyes: Brown Hair: Brown, heavily greying. 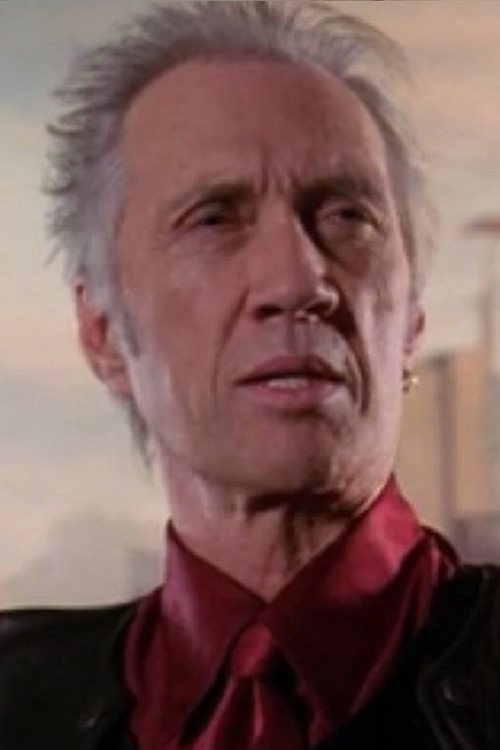 Other Distinguishing Features: David Carradine was 63 when he played this role. Called the devil’s sorcerer, Tempus is probably capable of casting many powerful spells. He is known by name by lower level demons and well respected. Tempus is shown reversing time, however, once forced out of his time loop, it drains him and takes quite a long time to recover afterwards. Tempus reports directly to the Source. Inspector Rodriguez learned the Charmed Ones’ identity but with so many recent defeats, the Source wasn’t taking any chances. Tempus, his sorcerer, was sent to aid Rodriguez. Tempus used his time traveling power to create a time loop. The day would be repeated until Rodriguez was eventually able to kill all three of the Charmed Ones. Rodriguez tried again and again, dying at each encounter with the Charmed Ones. However, with each attempt Rodriguez learned a little more. Phoebe’s premonitions allowed her to also realize what was happening. After Rodriguez killed Andy Trudeau, it was Prue who realized how to defeat the demons by accelerating time and breaking the time loop. This pushed Tempus outside his time loop, injuring him severely. Tempus was pulled back to Hell and was still injured even 2 years later when once again the Charmed Ones entered his life. Phoebe and Leo (her White Lighter) appealed to Cole (Phoebe’s half-demon boyfriend) to ask the Source that Tempus again turn back time. Though aged, Tempus appears quite fit. He is distinguished and clean cut. Tempus sports a single ear-ring in his left ear. He wears a red and black suit covered by jet black robes denoting his office. 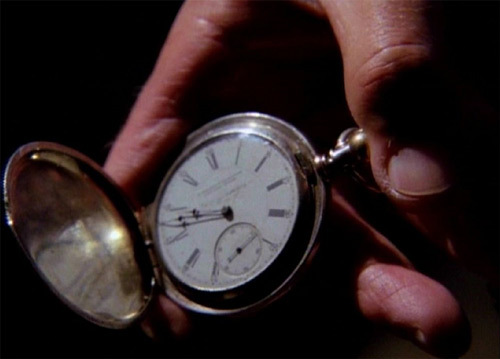 Tempus carries a pocket watch and checks it often. Tempus demands respect from lower level demons while giving his utmost loyalty and respect to his “betters”. He’s a no-nonsense operator and expects the same from those he works with. Still, he likes to challenge and berate them if they fail. In the DC Universe Hell’s hierarchy, Tempus wouldn’t be as high on the ladder as he is in the Charmed-verse. Demons in DC can be very powerful, whereas Tempus would be a “one-trick pony” with his time reversing power. Still, I doubt you’d want him as an enemy. Dimension Travel is travel only (-1), Travel is only to and from Hell and Earth (BC 100). 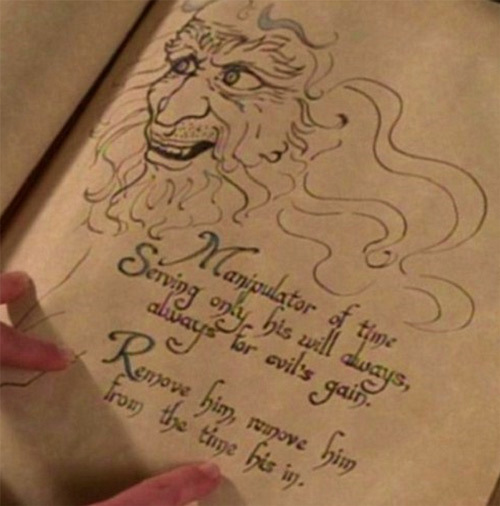 Invulnerability only protects Tempus against non-magical physical attacks. Invulnerability and Time Travel are both Mystic Linked. Time Travel can only reverse time to a point predetermined by Tempus effectively creating a loop. If however, his loop is broken by moving him outside his own loop, Tempus will take mystical damage equal to APs of the Time Travel power to his Spirit. (-3 FC) This damage is always killing combat. Time Travel only works on Tempus’ mind (Tempus retains his memories of the original timeline but cannot bring back objects, does not retain injuries received during the period that was “rewound” by Time Travel, etc.) (-2FC total). Time Travel allows the caster to select anyone within range of the APs of Time Travel instead of only within 00APs of himself (+1). Time Travel does not affect those in the Underworld (-1). Age (Old), Minor Irrational attraction to loyalty. He only appears in the episode “Déjà Vu All Over Again” of Season 1 and uses his power off-screen in “All Hell Breaks Loose”. Because of this some game stats are speculative. 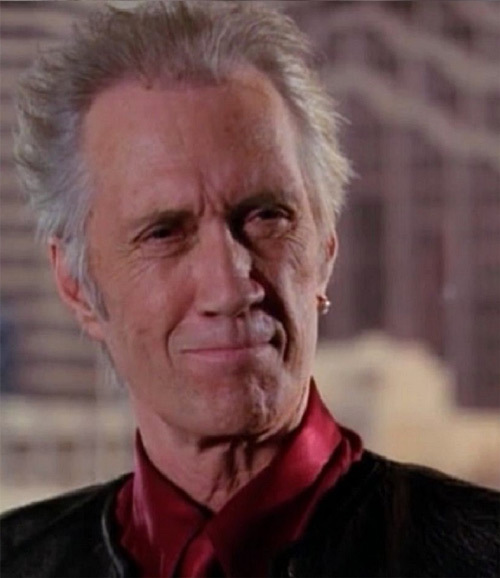 Source of Character: Charmed TV series, Season 1 episode “Déjà Vu All Over Again” and Season 3 “All Hell Breaks Loose”; character played by David Carradine. 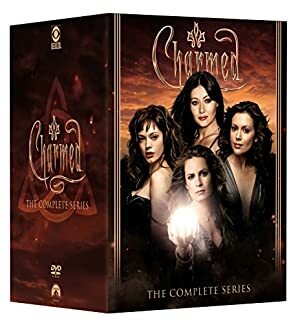 Helper(s): Charmed-wiki, Chris Cottingham, Adam Fuqua, Roy Cowan. Writeup completed on the 16th of August, 2015.